Most boring update ever. I tried to spruce things up by working my way slooooowly left and adding the moon and sparkles around it, but still this past week was a snoozefest of blue sky, blue sky, and more blue sky. And it’s going to get worse before it gets better. 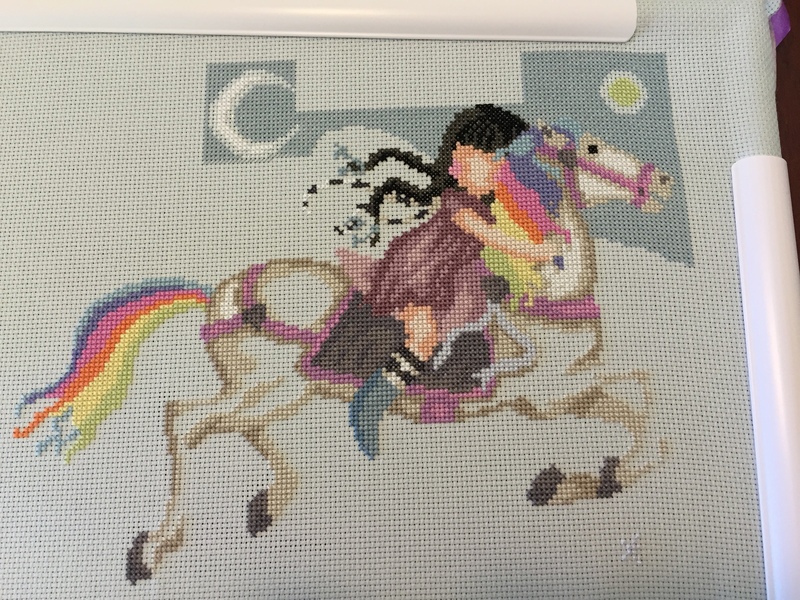 The canvas continues quite far left of the horse because that’s blank space for words. This week’s blue progress. Doesn’t look like much. Took forever. The moon. Still can’t figure out how to capture the sparkly thread well in pictures. In truth I tried to take the weekend off, but couldn’t stay away. 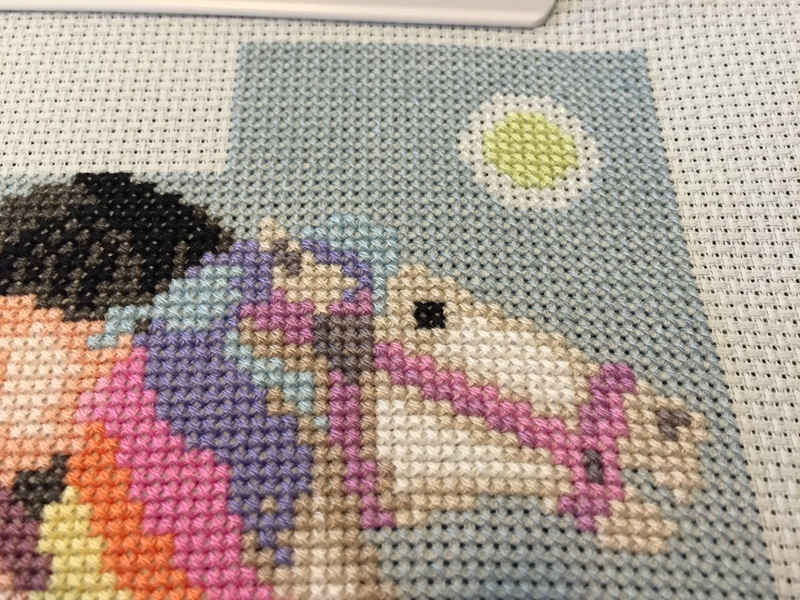 I expect next week’s update won’t be much more exciting, but I am toying in with the idea of finishing up the white of the horse when I get sick of blue skies and if I get really tired of blue stitching maybe doing the backstitch to keep forward momentum. 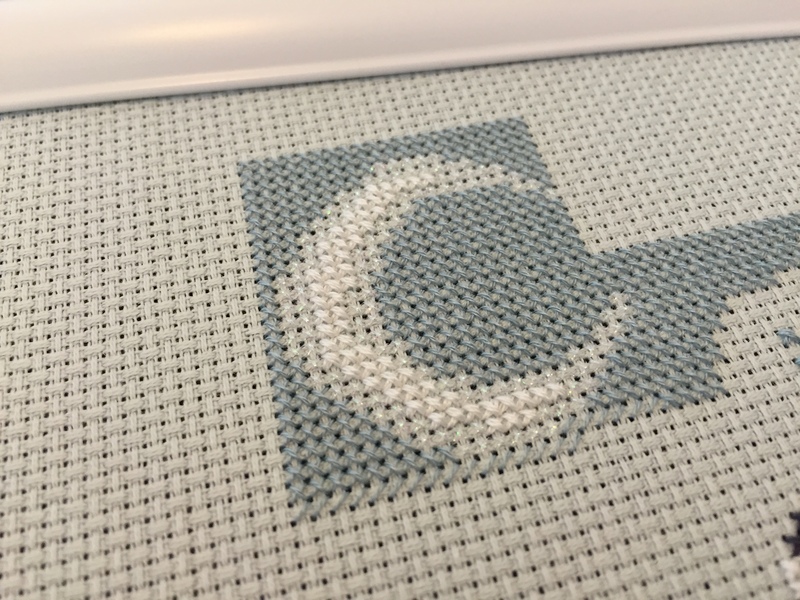 I never ever start backstitch before I finish up the main cross stitching, but desperate times call for desperate measures. I will be out of town this weekend, and I doubt I’ll bring this piece with me, so I might not get as much done as I’d like but I’ll slog on.